This package includes Paperback and iClicker REEF. 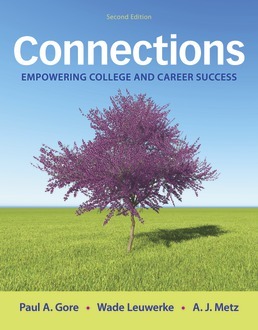 In every chapter of Connections, Second Edition, you’ll learn proven strategies for succeeding in college, career, and life in general. You’ll learn to celebrate your progress and figure out how to use setbacks as opportunities for growth. And you’ll see firsthand how the academic and life skills you’re developing will drive your success. Connections will empower you to become an engaged, collaborative learner who thrives in school, on the job, and in your community. Increase your motivation and empower yourself to succeed. Strengthen your academic and study skills. Find an academic and career path that’s right for you. Feel confident that your life’s on the right track. Stay engaged in class with our student response system, show your instructor that you're listening and prove what you know. Paul’s efforts to promote college and career readiness, high school and college student persistence and academic success are informed by over twenty years of research, program development, implementation, evaluation, consulting and teaching. Paul currently serves as the Dean of the College of Professional Sciences at Xavier University in Ohio. Paul earned his Ph.D. in Counseling Psychology with an emphasis in student career development, academic success, and transition, from Loyola Univeristy - Chicago. He has held academic and administrative responsibilities at the University of Missouri – Kansas City, Southern Illinois University - Carbondale, ACT, Inc., and the University of Utah. 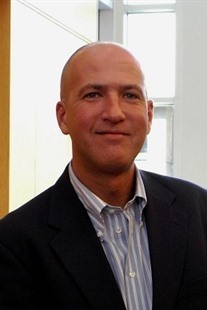 Paul’s work focuses on non-cognitive and motivational determinants of academic and career success. In particular, he is interested in how secondary and postsecondary institutions use data describing the non-cognitive strengths and weaknesses of their students to promote student success and retention. He regularly consults with secondary and postsecondary institutions in the United States and abroad on developing and evaluating student academic and career success programs. Paul has authored over fifty peer-reviewed journal articles and book chapters. He is the past-chair of the Society for Vocational Psychology and served as an ddvisory board member for the National Resource Center for the First-Year Experience and Students in Transition. He is a fellow of the American Psychological Association and was the recipient of a 2013–2014 American Council on Education Emerging Leadership fellowship. Wade is an associate professor of counseling at Drake University. He earned his Ph.D. in counseling psychology from Southern Illinois University–Carbondale. Wade has authored over fifty journal articles and book chapters, as well as national and international conference presentations. One of his areas of research is the assessment and development of student and employee non-cognitive skills. He co-created the Student Strengths Inventory, a measure of non-cognitive skills used with secondary and postsecondary students to identify students’ skills and drive interventions for students at risk of academic failure or dropout. 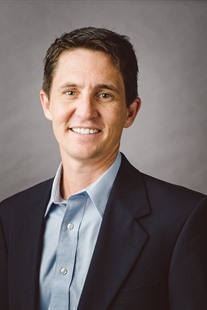 Wade also studies the factors that predict college retention, the impact of computer-assisted career guidance systems on academic planning and career exploration behaviors, and the role of technology in career development processes. A.J. is an associate professor in the Department of Educational Psychology at the University of Utah and serves as director of the master’s program in school counseling. She earned a M.Ed. in rehabilitation counseling in 1997 and a Ph.D. in urban education (with a specialization in counseling psychology) in 2005 from the University of Wisconsin–Milwaukee. Her research examining factors related to academic success and career development in underrepresented and underserved student populations has led to numerous journal articles, book chapters, conference presentations, workshops, grant proposals, and faculty in-service training sessions. A.J. has extensive teaching, counseling, consulting, and career advising experience in high schools, community colleges, and four-year public and private institutions of higher education. Her passion for teaching motivates her to experiment with innovative teaching methods and develop new and engaging activities and instructional materials. In 2015 she received the University of Utah’s Early Career Teaching Award, and in 2017 she received the College of Education Teaching Award. 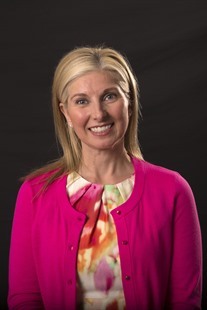 She is the past president of the Utah Psychological Association and serves on multiple state-level task forces and advisory councils promoting school counseling, college access, and career readiness.